RCI recently welcomed three new resorts in Japan to its vacation exchange network through an affiliation agreement with Cest la vie Resort Izumigo, bringing exciting new destination options in Japan to its 3.8 million global exchange members. “Our new affiliation with Izumigo is an affirmation that more Japanese developers are seeing the benefits of vacation ownership as a business model, and we look forward to a long and mutually beneficial relationship with Izumigo,” said Jonathan Mills, managing director of RCI Asia Pacific. Hotel Ambient Izukogen Annex is located in Izu peninsula, Shizuoka Prefecture. Located about 100 kilometres southwest of Tokyo or an approximately two-hour train journey away via the JR line, Izu Peninsula is a resort area popular for its onsens (natural hot springs), beautiful coastlines and scenic views of Mount Fuji. Each unit comes with a kitchen equipped with a stove, refrigerator and microwave. Guests also have access to an on-site hot spring and a restaurant as well as other onsite facilities in the main building. The resort is an approximately 10-minute drive from JR Izukogen Train station, and a free shuttle bus service is offered for guests. Neo-Oriental Resort Yatsugatakekogen is situated in the Yatsugatake area of Yamanashi Prefecture. Yamanashi is widely known as one of the most preferred residential areas in the country, and its harvest of grapes, peaches and plums is considered some of the best and most beautiful in Japan. Each unit is a private cottage surrounded by plenty of nature, offering a relaxing environment. The area boasts a variety of activities throughout the year such as hiking, fruit picking, visiting museums and winter sports. There is a hot spring, a restaurant, a souvenir shop, and a catering service on site. A free shuttle is available from JR Kobuchizawa Train Station, which is an approximately 20-minute drive away. 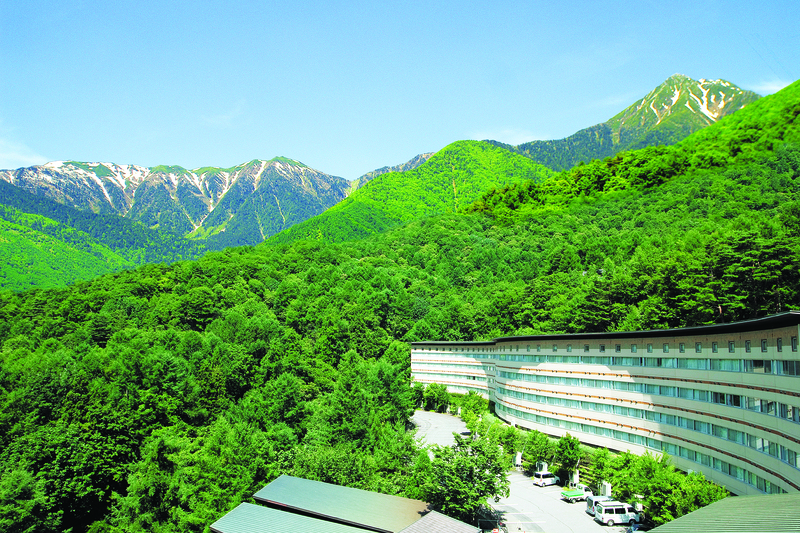 Located in Azumino, Nagano Prefecture, Hotel Ambient Azumino overlooks the beautiful landscape of the Japanese Alps, providing hotel guests a spectacular view that changes each season. Each spacious unit comes with a kitchen and a Japanese tatami room that allows extra guests to sleep on futon mattresses. There is a Japanese restaurant and a French restaurant in the hotel that each offer flavorful dishes using fresh local ingredients. Several tourist attractions are located within a 30-minute drive from the resort, such as the Azumino National Park, Hotaka Shrine and Hotaka River. JR Hakuyacho Train Station is a 20-minute drive from the resort.